#107. Border Forest of Fontainebleau. ? x ?, oil (presumably). No signature info. 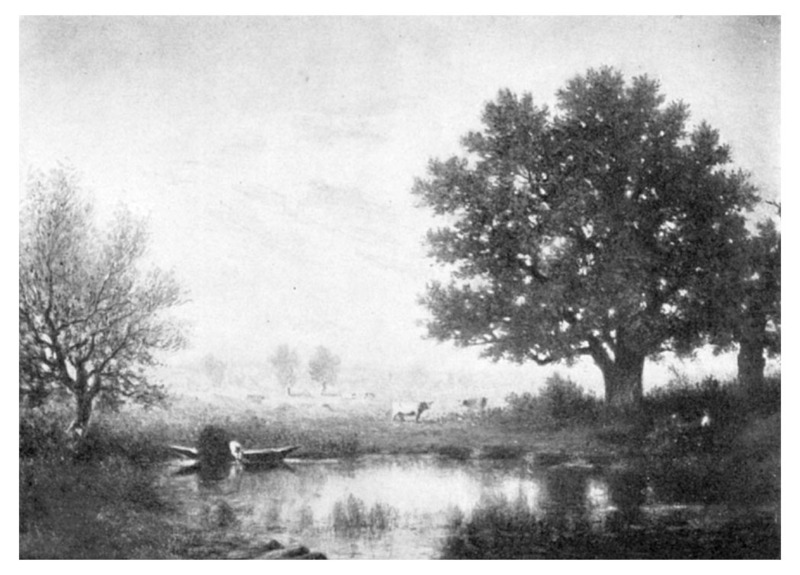 This painting appears as the plate facing page 10 in Memoir, Gilbert Munger, Landscape Artist, 1836-1903, The De Vinne Press, NYC, 1904. Its current location is unknown. 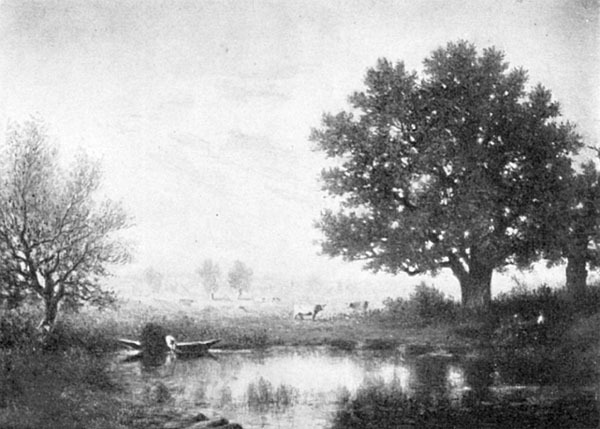 Painting #299 shows a similar scene. Image from a scan of that plate.